AutoDrain are pleased to announce that once again we will be attending the Professional Recovery Tow Show being held at the International Centre in Telford on the 10-11th September 2015! The Tow show has fast become a permanent fixture on the calendar of many companies within the End of Life and Fuel Recovery industries. Having secured its place as a must see event for anyone dealing with vehicle fuel removal and storage, it is no wonder that people arrive expecting to see the best of what the fuel and recovery industry has to offer. Whether you are looking to start a new business venture or looking to invest in new equipment, AutoDrain should be your first stop when looking for the best, most efficient fuel removal equipment available on the market today. 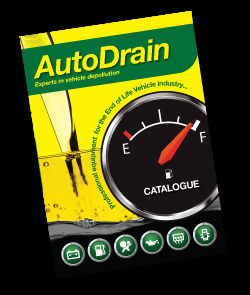 Working with fuel can be dangerous task, that is why at AutoDrain we strive to ensure that all of our products are designed and manufactured to the highest standards possible. We use only the very best materials and rigorously test all of our equipment, guaranteeing that you receive the safest, highest quality and most durable products available. As ever AutoDrain will be attending with plenty of equipment and show deals for all our customers to come, see and take advantage of throughout the Tow Show exhibition. Our fuel removal equipment has been specifically designed to create a fast and efficient way to manage fuel removal with the safe transfer of fuel from vehicle to storage. This year we will have some fantastic show deal opportunities available and our experienced staff will be available to discuss any questions or requirements that you may have. AutoDrain will be showcasing our brand new Workshop Scavenger 90 for all our customers to see, as well as the ever popular mobile scavenger and fuel tools! with all our products being aimed to boost efficiency and profits, we hope that you are able to stop by and see just how durable and robust AutoDrain’s fuel removal equipment really is. Come and see us on stand B350, we are always happy to see our customers and we hope to see you there. We can’t wait to be there and hope to see you all soon! For more information on our Fuel Recovery product range please call 0113 2059332.